Tom Ross is the artistic director of Aurora Theatre Company in Berkeley, celebrating its 25th year in the upcoming 2016-2017 season. Originally founded by actor/director Barbara Oliver in 1992, its first production was Dorothy Bryant’s Dear Master, and in honor of the anniversary, Aurora presents a revival of that play to open the new season in September, 2016. 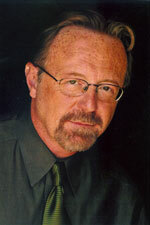 After nearly a decade at the Berkeley City Club, Aurora moved to his current location, a 150-seat “thrust” stage located on Addison Street just up from Berkeley Rep.
Tom Ross succeeded Barbara Oliver as Artistic Director following a stint at the Public Theatre in New York where he worked under Joseph Papp, developing plays by such artists as Larry Kramer and Jonathan Larson. In this discussion, Tom Ross talks about the history of the theater, working on the thrust stage, and the upcoming 2016-2017 season at Aurora. A longer version can be found as a Radio Wolinsky podcast on this website.